Lakewood, CO – The National Ski Areas Association (NSAA) announced this week that U.S. ski areas set a new all-time record of 60.54 million skier/snowboarder visits during the 2010-11 season, according to the final Kottke End of Season Survey. 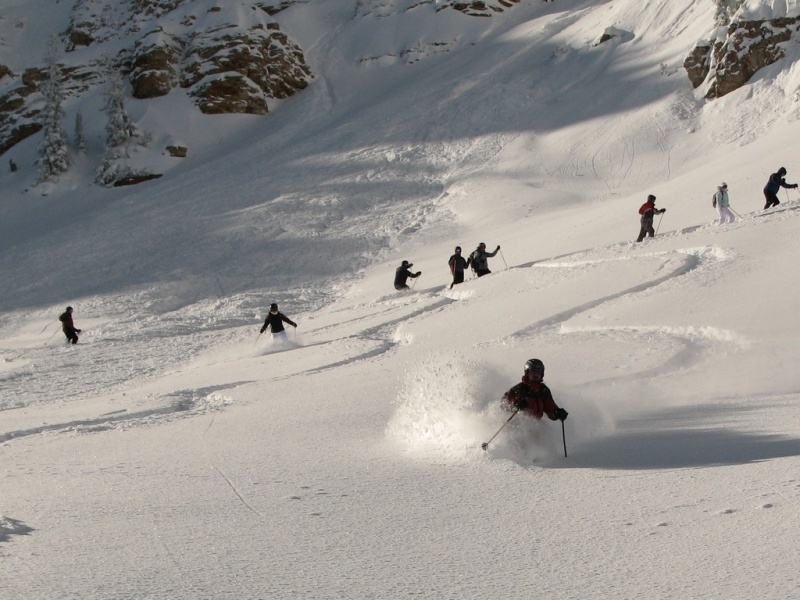 The association announced preliminary figures in May projecting that, at an estimated 60.1 million skier/snowboarder visits, the 2010-11 season was the second-best on record. However, an unprecedented turn of events that saw many ski areas operating late into the spring, and even summer, helped fuel the industry toward setting the new visitation record. As an illustration of the late-season surge in visits, it’s estimated that nearly 50,000 skier/snowboarder visits occurred over the July Fourth holiday alone, in which nearly a dozen ski areas were either still in operation, or had reopened. This marks the second time that the ski industry has broken the 60 million visit threshold, representing a 0.6 percent increase from last season’s 59.8 million visits, and a .1 percent increase from the industry’s previous record of 60.5 million visits set in 2007-08. Nationally, snowfall at resorts was up 29 percent this season, and was the highest recorded in 20 years of Kottke research. As a result, the average season operating length increased, and some resorts opened early or remained open beyond normal closing dates. Most regions experienced significant increases in snowfall, including the Pacific Southwest (up 43 percent), Northeast (up 35 percent), Rocky Mountains (up 33 percent), Midwest (up 27 percent), and Pacific Northwest (up 19 percent). Gains in visits occurred in most regions of the country, and the industry as a whole exceeded its 10-season average by 4.7 percent, a pattern echoed by all regions. The final Kottke report will be published by the NSAA in August.